Tired of wearing your same old striped ties? 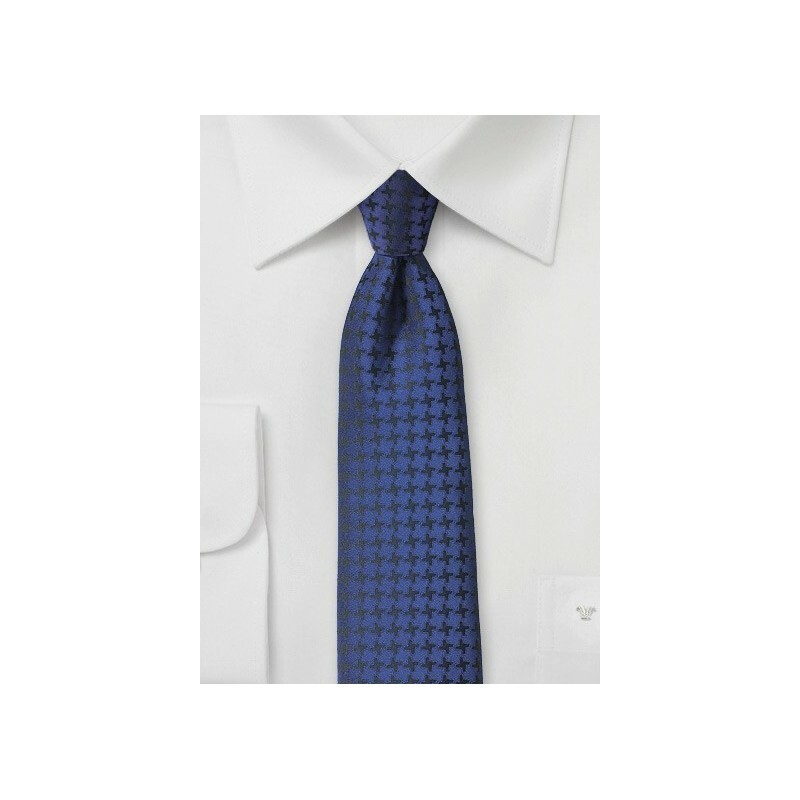 Then our stylist recommends you add some excitement to your everyday suits with PUCCINI's new houndstooth check collection. The bright twilight blue gives off a sapphire sheen. 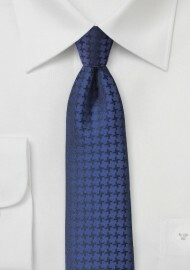 The black houndstooth check woven into the tie pair nicely with jackets in the gray to black color range. Also available in burgundy and plum. Made from care-free microfiber.